Test Alliance Please Ignore have declared their intention to pull out of Wicked Creek . Meanwhile, the Red Menace Coalition has begun taking sov from a debilitated RUCA Emperor in Period Basis, effectively abandoning their ancestral homeland of Insmother for the time being. This is a surprising move, as Red Alliance has historically always held sovereignty in Insmother and Detorid since EVE was in it’s early stages of sov mechanics in 2007. TEST departing from the region is a bit less surprising, since the alliance has recovered drastically since their days in Brave and after the Fountain War. The shakeup in the east began on Saturday, with RUCA Emperor losing several small corps over the course of the last week, and escalated when a corp with 262 members, DNS Requiem, departed the alliance. Almost as soon as this occured, Red Menace Coalition stepped in and, at time of writing, has taken 22 systems. This could be seen as quite the opportune moment for Red Menace to set up shop in some sov without a hefty amount of resistance from the locals. This also puts them in close proximity to Querious, where there have been fights aplenty for the past several months since the new “Content Ring” was established. Red Menace Coalition has thus far declined to comment on their new deployment. Meanwhile, TEST announced its departure from Wicked Creek. An anonymous source from within the alliance said on Tuesday that, “The official word is that TEST is at its next stepping stone, in the words of Sapporo Jones, Wicked Creek was never meant to be a permanent home. 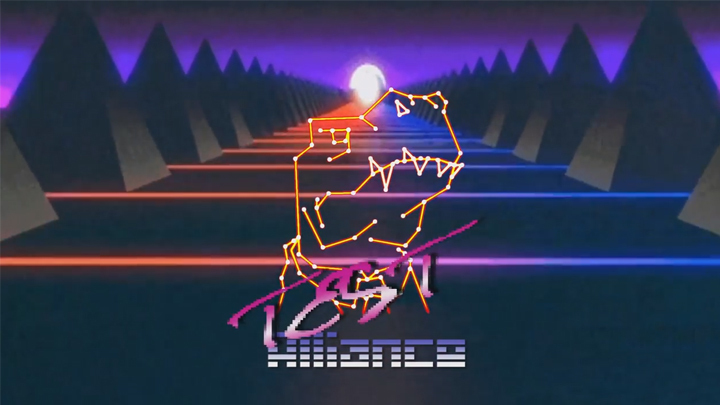 We are at our next phase as an alliance, and as a coalition.” Speculation then arises where the alliance may turn to for the level of content an alliance the size of TEST could prosper. Querious, being home to much smaller newbie-based alliances, would not likely pose a large challenge. The most obvious direction to most would be the Fade region, possibly to take part in the conflict there between Panfam and NC. vs. the Imperium. Wherever the 4600 pilot strong alliance goes, there will be drastic changes to that region. The question remains as to what will be done with the abandoned systems in Wicked Creek and Detorid. Stainwagon and Guardians of the Galaxy have made pushes into the region before, but now with the sov more or less up for grabs, they could find themselves in a war with the Drone Region Federation, and possibly Triumvirate. CdkNUH Way cool! Some very valid points! I appreciate you penning this write-up and the rest of the site is really good.